Whether your goal is to refine your style, boost your confidence, have an individual look created, or conserve valuable time and money, Wardrobe Whisperer can help. 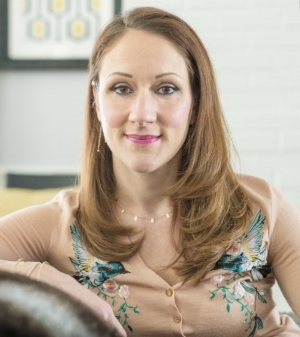 Jessica Cadmus, the "Wardrobe Whisperer," is a fashion stylist and personal shopper based in New York City. Since 2007 she has provided luxury styling services to a broad spectrum of men and women including the titans of Wall Street, entertainment executives, television and film actors, on-air personalities, litigators, small business owners, teachers, and stay-at-home moms, among others. She's been hired by entertainment companies like HBO to get stars red-carpet ready and she's guest-styled for several international fashion brands including Hugo Boss, Alexis Bittar, and Reiss. When she works with personal clients, her goal is to create a highly efficient and versatile wardrobe based on the client's body type, lifestyle, financial considerations, and aesthetic sensibilities. Her mission is to elevate the style of any man or woman and make them effortlessly chic. Jessica is a recognized industry expert on dressing Wall Street professionals. In 2011 she was interviewed by Wall Street Journal's, FINS.COM, in 2012 she appeared on Bloomberg Rewind with Matt Miller, in 2015 she was profiled by Business Insider, and in 2017 she was interviewed by Wall Street Journal's online finance site, Market Watch. She contributes regularly to Business Insider. She is an alumna of Goldman Sachs.